On the 20th March our part time courses will start again. 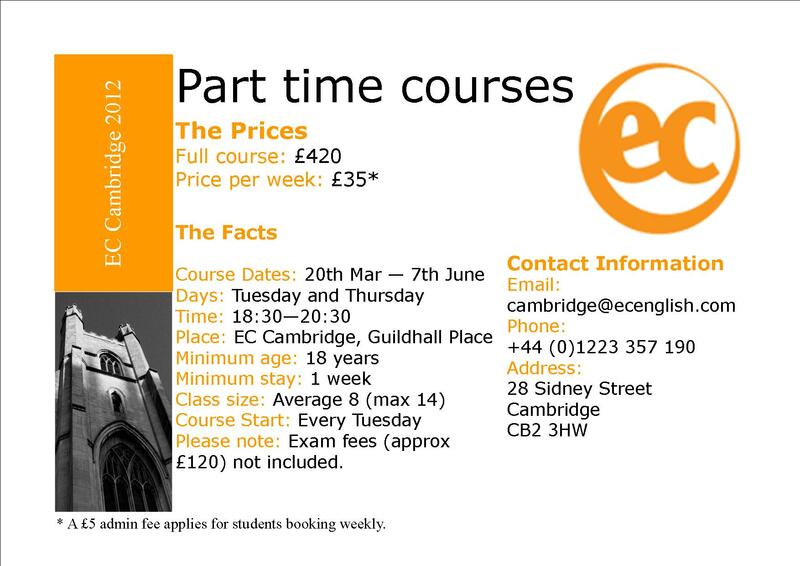 These are perfect for students wishing to study for the Cambridge ESOL exams (FCE, CAE and CPE) or students wanting to study Business English. The course lasts 12 weeks and costs £420. Please see more details below.